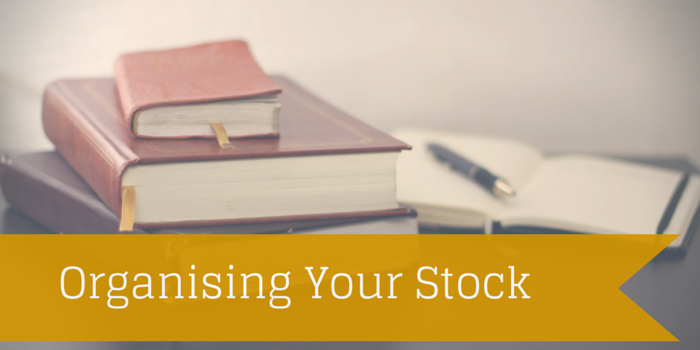 If you own a business that involves inventory then keeping your stock organised is imperative. If your place of business is running out of room or if you have a home based business, keeping your stock organised can be challenging. Choosing a corner of a room is great when you first start accumulating stock but over time that small corner of space is likely to spread across the room and into your house. Here are few tips to keep your stock not only organised but also safe from damage and/or theft. When deciding your game plan on the best way to organise your stock you must first figure out what stock needs to be accessed the most frequently by making sure to keep items that are used or sold on a regular basis easily accessible (at the front of your storage area) and place the infrequently used items in the less accessible areas. The next step is figuring out where this stock is going to be stored. If you own a garage, utilising a space for storage is a great way to keep the clutter out of your living area. The only problem with a garage is that they tend to be damp and un-insulated making them somewhat vulnerable to the elements, so if you are using your garage for stock storage then make sure that you have things in place to keep the area you are using dry and protected. You may also want to invest in added security such as motion detectors or additional padlocks to protect your items from potential theft. If you do not have a garage then investing in a storage shed is a fairly low cost way to organise your stock. Storage sheds are excellent if you have a small to moderate amount of stock to consider. Storage sheds are generally much smaller than a garage and like garages have little protection from the elements and need added security features to keep your stock safe. If you don’t want to deal with the hassle of weather proofing and securing your stock, then a great way to avoid the aforementioned headaches is to find a reputable storage facility to keep your stock safe and organised. There are many advantages to using storage facilities to organise your stock, one being that you have the option to rent more than one space. Having 2 or more storage spaces will allow you to organise without cramming everything into one area. This will allow you to separate items not only in terms of need but in terms of size as well. Also, storage facilities make sure that their storage lockers/units are dry, insulated and exceptionally secure giving you added piece of mind knowing that your stock is safe. Whatever you do, make sure you choose a storage facility that is budget friendly, but that has flexibility of access, a variety of storage plans and size options to make sure you’re maximising your profit margins, but keeping your stock in a safe secure storage space that can handle your growing business.